Teaching preschoolers about love and kindness! As Valentine’s Day quickly approaches we are surrounded by reminders of love and kindness – this holiday creates wonderful opportunity for us to teach our next generation ways to make the world around them just a little brighter. 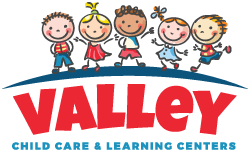 At Valley Child Care we take every opportunity to teach character lessons with hands on experiences because we understand teaching your preschooler these things can be a hard task! Sometimes the best way to teach kindness is by example. These teaching moments can be simple parts of our everyday lives that choose to point out and turn into a learning experience. A great example we’ve found can be done using only pennies! You’re familiar with the saying – “Find a penny, pick it up and all day long you’ll have good luck?” Have your child collect a handful of pennies from wherever they tend to congregate in your house. After they have collected their pennies take time to explain the phrase to them, explain that something simple like finding a bright and shiny penny on the ground can make someone smile or turn their whole day around. Next, find a place to drop your pennies! A park is an ideal place for this. Let your child choose “just the right place” for each of their pennies and remind them each time of the phrase. Once you are done you could even find a place to sit back and watch your pennies get discovered! Every day we have opportunities to show love and kindness in big and small ways, what are some ways you teach your little ones these values? For more info about our curriculum check out our website!